More likely than not, most of us lamented about being a “poor college student” at one point during our undergraduate years. Despite experiences akin to daily microwave ramen for dinner and sharing a house with ten other people to save some money, we find ourselves seeking yet another two to four years of college life to pursue a graduate-level education. 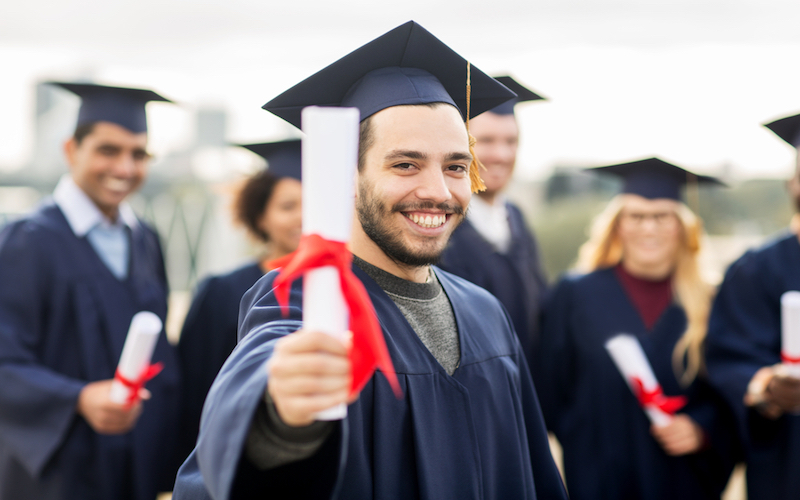 While student loan debt seems to be ubiquitous in graduate school, there are several steps we can take, between applying for graduate school to walking at graduation, to lessen the damage to our wallets. Taking out student loans may not be necessary, depending on the programs you apply to. Many doctoral and some masters-level programs offer financial assistance through graduate assistantships. While the amount of financial assistance varies, some programs offer full tuition waivers and stipends in exchange for students completing a graduate assistantship (e.g., teaching, research, administrative duties). Alternatively, you may be paid for services you provide during practicum. Even if the program can offer only a partial tuition waiver, it will save you thousands of dollars over your graduate career, especially if you are an out-of-state student at a public university. Therefore, the amount of financial aid (other than loans) a program offers is worth considering. Depending on your professional goals, the number of relevant programs to apply to may be limited. The American Psychological Association’s Graduate Study in Psychology is a great resource to explore graduate programs and their availability of financial assistance . The program’s website and program brochure are also likely to have this information. 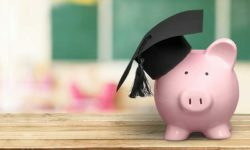 Once you have gotten into graduate school and have a better estimate of what your financial costs will be, you may find taking out student loans necessary. The headlines about millennials finding themselves buried in student loan debt are scary. 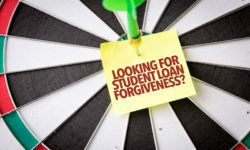 However, educating yourself on how student loans work and how to minimize the amount borrowed can greatly reduce the likelihood of experiencing this financial burden. Learn how student loans work and about the consequences of taking out a student loan so you can make an informed decision. Your school’s financial aid counselors have a wealth of information regarding private loans versus public loans, interest rates, repayment plans, and more. Additionally, the Office of Federal Student Aid’s website has information regarding responsible borrowing, loan consolidation, and repayment options for federal loans (http://www.studentloans.gov). The banks have to make lending you money worthwhile, hence the interest charged to your graduate student loans. This accrued interest grows exponentially and can increase your initial amount borrowed quite a bit. To help minimize this in the long run, consider making small payments as you go through graduate school. Even $5-$10 a month can help and likely will not eat into your budget too much. Do not take out more than you need. In the short term, it may feel nice to eat out every night or buy a new outfit every few weeks. However, remember that for almost all loans, interest begins to accrue on your loan from the minute you receive it. This consideration is easier to make if you have an idea in mind of what you deem a necessity versus a luxury. To differentiate the two, consider whether the item or experience is worth the loan debt and hassle of repaying that amount (plus interest) in the long run. While I wish I could have eaten out more or traveled more during graduate school, I decided it was easier to do without those experiences when I am responsible for only my financial well-being, and not that of a family member or spouse further down the line. Everybody is different, but consider what you are willing to put up with now versus later. For all the costs we have discussed around graduate school, graduate students also get a lot of perks! Most attractions (e.g., museums, movie theaters, concerts) extend their student discount rates to graduate students. This can easily knock a few dollars off the ticket price. If, like me, you are attending school in a more rural location with limited entertainment options in the community, explore what your school offers. Your school may offer free and discounted events to students, such as sporting events, music department concerts, theater productions, and lecture series. Scan through your school’s calendar of events to see what affordable entertainment options are available. The cost of a monthly gym membership can add up, too, so explore the different exercise facilities and fitness groups offered by your school’s recreation center before joining a gym in the community. Finally, your school also may offer free or reduced rates for medical services, such as annual physical exams or counseling sessions. Purchasing a student health insurance plan through your school may also afford you additional benefits, such as discounted prescriptions filled through the school pharmacy. Financial constraints can sometimes interfere with your social life, particularly if your friends are not in graduate school and have a full-time job with commensurate income. If your graduate school experience is anything like mine, chances are a lot of your socializing will occur with your classmates from the program. If this is the case, they will likely be in a similar financial situation to you and will understand the need for affordable entertainment options. However, if you are also hanging out with friends who can afford to spend more and ask you to participate in pricey activities with them, you have a couple options to still spend time with them without going bankrupt. First, if this is within your comfort level, be honest with them about the reality of keeping a budget during graduate school. This way your friends know you are skipping the ski trip because it is too expensive, not because you do not want to spend time with them. Understandably, it can be awkward and difficult to talk about our financial situations with others. An alternative way to still spend time with your friends and significant other on a budget is to proactively plan activities that are more affordable. Go out for food you can get a lot of for cheap (e.g., pizza) or order family style. Check out a free event in the community, such as a concert, art show, or festival. Weekend trips are still feasible if you and a group of friends look into renting a house for a night and split the cost. Do a weekly potluck dinner with your friends and rotate who hosts each week. Similarly, rotate hosting a movie night. Pick a couple of movies to stream on Netflix and put out a variety of movie snacks (e.g., popcorn, pretzels, candy). If you want to channel your inner celebrity chef, plan the food and drinks according to the theme of the movie. If travelling for a conference or workshop, try to share a hotel room with other classmates attending so you can allocate more money to eating out or sightseeing. Outdoor activities, be it going to the beach or going hiking, are a very affordable option for a big group. If you bring your own snacks and drinks, your only costs may be parking or an admission fee charged on a per car basis. Graduate school has some unavoidable expenses. However, it is possible to minimize these expenses before, during, and after completing the program. More importantly, this can be done without totally sacrificing your social life or ability to engage in self-care. While we may have to give up some things in the short run during graduate school, we are pursuing a career that will reward us tenfold and make this sacrifice worthwhile. Happy saving! Claire McDonough, M.S., is a doctoral student at Georgia Southern University. Currently, she is completing her pre-doctoral internship at a public psychiatric hospital in North Carolina and anticipates graduating with her Psy.D. in 2019. Claire has experience in both the outpatient community mental health setting and inpatient psychiatric hospital setting serving individuals with severe mental illness. Claire is particularly interested in working with older adults and hopes to focus her clinical work and research on helping older adults and their family members manage issues common in late adulthood. 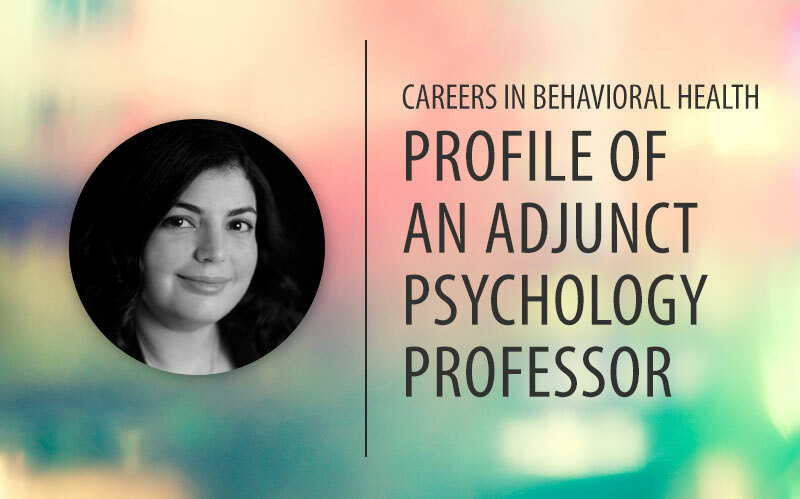 What is it Like to be an Adjunct Psychology Professor?